What a Bunch of Drewsers! — kolo t.c. 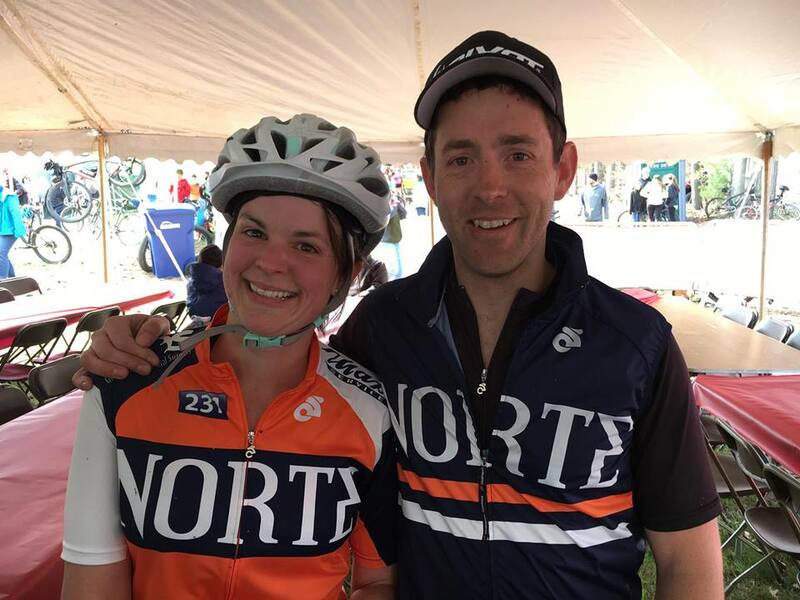 After intense negotiations (like, two text messages), we’re delighted to announce that Jaden and Sarah Drews will be in the black, red, and yellow for 2019. If you don’t know Jaden and Sarah, it’s about time you did. They’re extremely talented cyclists, excellent human beings, and Sarah is probably the best baker on the planet. We’re stoked to have them on our squad. For the bike riding. And the baking. Mostly the bike riding though, obviously. This power couple are the proud parents of two Norte shredders, Owen and Cora. You’ve probably seen them out in the woods shredding as a family, or maybe looking for the directionally challenged Owen when he takes off on the unmarked without much of a warning. Sarah and Jaden have been big supporters of kolo since day one, frequently attending our fundraisers, group rides, and helping Wes do super complicated mechanical things to his bike, like change flat tires and swap out cassettes. Thanks, Jaden. Jaden and Sarah have raced everything from big mileage events to traditional cross-country events over the years, offering a degree of flexibility to the team’s arsenal that makes them a huge asset. But it’s not all about racing with these two. Their willingness to volunteer and participate in Norte fundraising events and our own altruistic endeavors means a lot to our team’s mission, and we’re so lucky to have their selflessness and endless enthusiasm on our squad. Sarah, in particular, is always organizing fundraisers for excellent causes, so she’s going to be a huge help for us in 2019. Last March, she shaved her head for the St. Baldrick’s fundraiser. I’m not going to put that picture up, because I’m scared she’d murder me, but if you need more proof of her selflessness, I don’t know what to tell you. She’s a total badass. Period. Be sure to say hey to these two the next time you see them out on the trail or herding kids with Norte. You’ll be glad you did. Follow Jaden on Insta and Strava. And/or follow Sarah on Instagram and Strava. If you like baked goods, you’re really going to want to follow her on Insta. Unless you’re doing Chubby Buddies - we don’t need the temptation.